Eclipse, the new generation Cost Recovery Terminal from Copitrak, builds on existing experience to offer state-of-the art technology to capture photocopy, scan and miscellaneous disbursement data. Optionally the system can be configured as a fax, copier/fax or dual fax terminal. 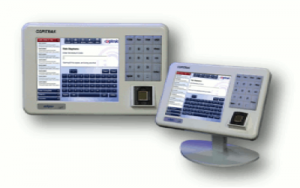 Eclipse, built from the ground up on the Windows CE platform, offers unprecedented ease of use with its large touch screen display, built in numeric keyboard, intuitive Smart bar user functionally and biometric reader for finger-print recognition. Configured as a fax control terminal, the Eclipse has dual line capability and is compatible with all fax devices. It includes special features for tracking incoming fax. Eclipse uses true client/server architecture over TCP/IP to communicate back to the central Copitrak server from any point within an existing LAN and WAN network. Standard Copitrak features such as Search, Recall and Favorites are a touch away; regardless of location making usage simple, fast and accurate. Closer Look – Smart Bar Interface The Copitrak Eclipse terminal is the most User friendly System on the market. The Smart Bar places all of the Features of the Copitrak System just a Touch away. Account Number Last Job Recall– With a Single Touch Users are able to access Account Numbers they frequently use. Favorites – Users can store up to 20 Favorite Account Numbers for quick and easy access from any Copitrak Terminal or Application. Auto Complete – The Eclipse assists users in entering Account Numbers by automatically showing all available Account Numbers based on what the user has typed so far. Super Search – Super Search allows users to find Account Numbers by typing in any portion of the Account Number or Account Name/Description. 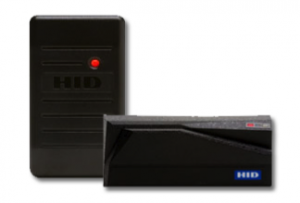 As an available option the Eclipse terminal can be ordered wtih Proximity, Mag Stripe or Smart Card Readers to allow for quick and secure access.